Synchronise and charge your Samsung Galaxy S8 Plus with the stylish, useful and compact VoltDock desktop dock from 4smarts. 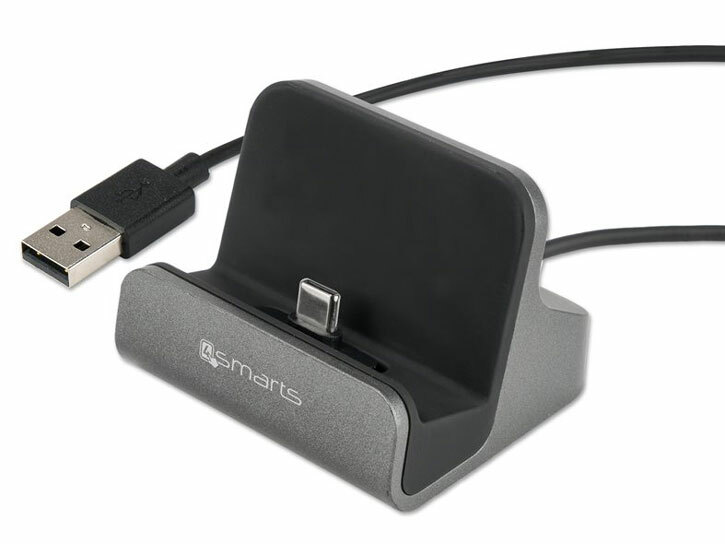 This handy dock also doubles as a desk stand, allowing you to display your device in pride of place on any flat surface. 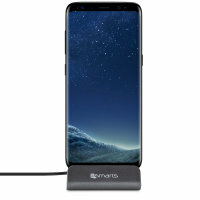 Utilising innovative pass-through technology, this charging dock allows you to connect your Galaxy S8 Plus to the cradle via a USB-C connection and use a USB port on a computer or laptop to charge your device as well as synchronise your data. This means that you can not only be sure that your Galaxy S8 Plus is fully charged, but that you can quickly and easily back up important data onto a computer or laptop. 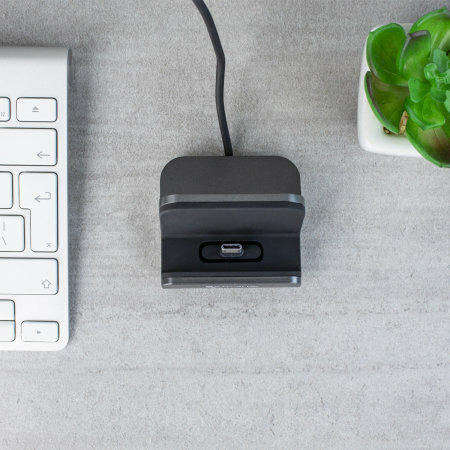 More and more devices are adopting the USB-C standard - a faster, better and fully reversible connector which is capable of carrying significant current, as well as achieving impressive data transfer speeds. 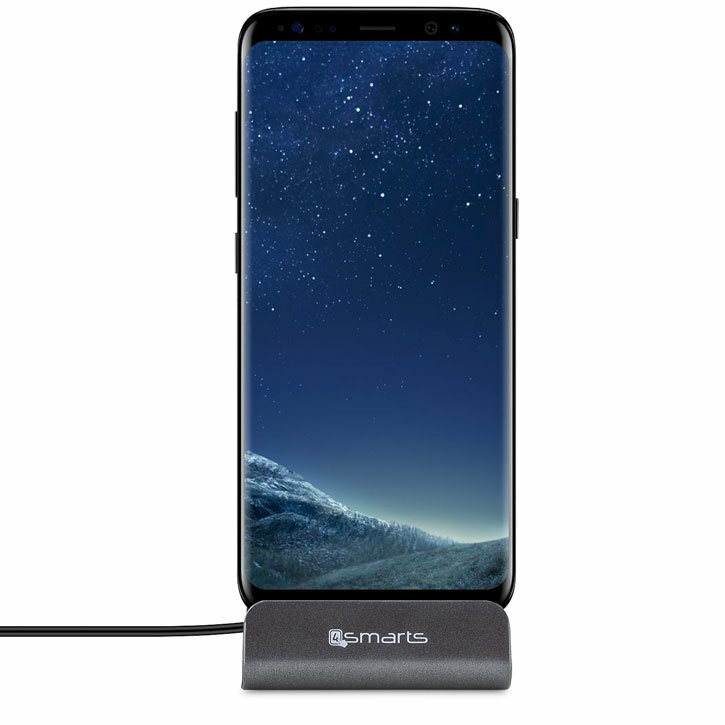 This dock has a universal USB-C connector which will work with the Galaxy S8 Plus and any other USB-C compatible device on the market. The connector is positioned snugly and optimally for placing most devices. The Kidigi Desktop Charging Dock stands your Galaxy S8 Plus at a comfortable viewing angle. 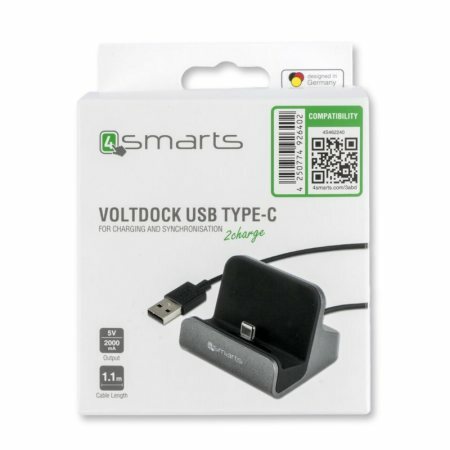 It features a unique tilting connection tip which provides enough room for you to use it with your device with or without a case attached, so you don't need to constantly remove your case from your Galaxy S8 Plus every time you wish to use the charging dock. The dock's rubberised build provides a stable and secure base, so there's no chance of your Galaxy S8 Plus moving around or becoming dislodged while docked. 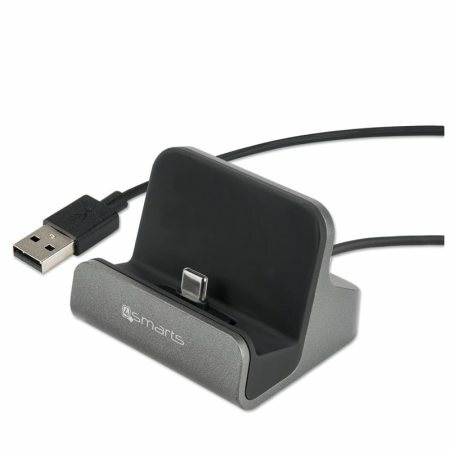 VoltDock will also declutter and make your desk look neater with its high quality chrome-style finish.